MSP Institute issues an occasional newsletter about gender and chemicals. It contains updates from our project work, as well as information from the broader gender and chemicals community and international chemicals and waste management policy processes, especially SAICM. Sign up for our newsletter “Gender and SAICM Beyond 2020”. We use the newsletter program Newsletter2Go. If you have any questions regarding our data policy, see our data protection policy or write us. You can unsubscribe from this newsletter at any time by using the link in the newsletter email. You can also contact us if you would like to contribute a piece for the next newsletter edition. And welcome to our end-of-year newsletter! In 2017, we studied relevant topics and political processes, conducted a scoping of the stakeholders and developed strategies of communication and engagement, all aiming to achieve better integration of gender aspects in international chemicals management in particular in the SAICM Beyond2020 process. You can find our paper “Gender and Chemicals. Questions, Issues and Possible Entry Points” here. In 2018, we produced compact information materials on gender and chemicals with political recommendations for action (see here). At the 2nd Intersessional Meeting (IP2) of the SAICM Beyond 2020 process, which was held in Stockholm in March, we advocated to increase attention to gender and chemicals, providing information and suggestions on how to integrate gender in a future policy framework on chemicals and waste and engaging in discussions with delegates (see our brief report about SAICM IP2 here). In the summer, gender was an issue high on the agenda of the meeting of the Subsidiary Bodies of the UN Framework Convention on Climate Change, (UNFCCC SBSTA) which took place from 30th April – 10th May in Bonn, Germany. We attended and observed the negotiations, participated in the work of the Women and Gender Constituency active at the climate meetings and took away lessons learned for our work on integrating gender in SAICM Beyond 2020 (see our blog here). This year’s theme of the High-Level Political Forum on Sustainable Development (HLPF) was ‘Transformation towards sustainable and resilient societies’. 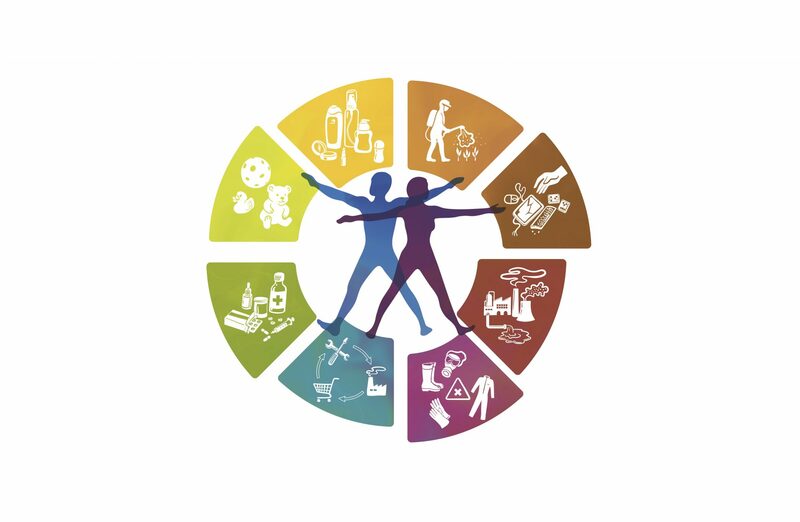 SDG 12 “Responsible Consumption and Production”, dealing explicitly with the management of chemicals and waste (target 12.4), was among the SDGs under review this year. We attended HLPF2018 in July to work together with other women’s groups and feminists of the Womens Major Group (WMG) to increase attention, inter alia, to gender and chemicals issues (read our brief report here). While attending these conferences and talking to delegates, we have frequently noticed that while there is great interest in gender and chemicals, there is little detailed knowledge. Our blog article series is pulling together explanations of key elements of gender mainstreaming and offering practical examples and studies from the field. The brief blog articles demonstrate the necessity and the potential of integrating gender aspects in international chemical management (see below). For healthy people and a healthy planet we need gender-just chemicals and waste policies! There is not much time left until 2020. We hope to continue a range of activities, working with you and further strengthening the voices of women and gender – so that 2019 will be a breakthrough for Gender and Chemicals in SAICM Beyond 2020. If you are interested in these issues, let us know! Since August we published several #expert and #explanation blogs, discussing how to create a gender-just healthy planet and demonstrating the potential of gender mainstreaming into chemicals policies. We thank the authors and our illustrator miratrick for their great contributions! If you are interested in writing a guest blog and be part of this series and publications in 2019, let us know! 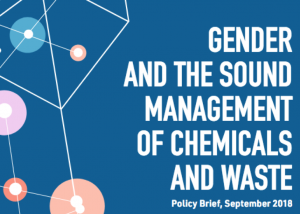 In September the SAICM Secretariat published a policy brief about gender and the sound management of chemicals and waste. We wish you happy holidays and a happy new year, and we are looking forward to working with you in 2019!